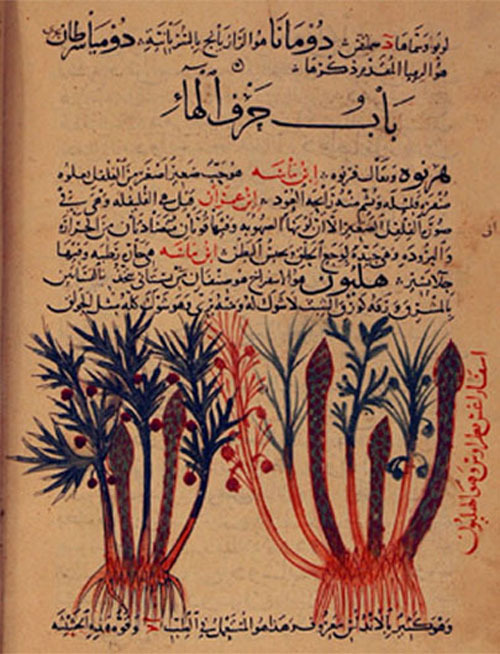 The Osler Library of the History of Medicine, McGill University, houses one of the most remarkable medieval Arabic manuscripts on simple drugs, popularly known as the “Herbal of al-Ghafiqi”. The work, composed by the celebrated twelfth-century Andalusian physician and scholar Abu Ja`far al-Ghafiqi, was arranged alphabetically according to an ancient notation no longer used in Arabic. 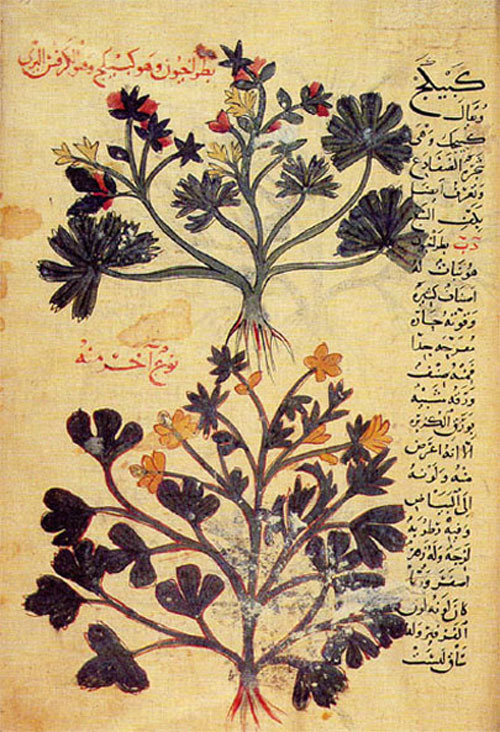 Al-Ghafiqi, according to a thirteenth-century historian of Arab medicine, Ibn Abi `Usyabi`ah, was the greatest savant of medicinal plants, their names and their properties, and his work had no equal in this field. This view was later confirmed by Max Meyerhof (d. 1945), the eminent historian of Islamic medicine, who stated that al-Ghafiqi was undoubtedly the greatest botanist and pharmacologist of the Islamic period. In his work, originally composed as an aide-mémoire, al-Ghafiqi relied heavily on his illustrious Greek predecessors, such as Dioscorides (1st century CE) and Galen (2nd century CE), and his fellow Muslims, such as, Abu Hanifah al-Dinawari (d.895), Abu Bakr Muhammad ibn Zakariya al-Razi (d.925), and Ibn Samajun (d.1001). His important contribution, however, lies in the additional information that he supplies, his knowledge of the plants of southern Spain and Morocco, as well as an astonishing understanding of the synonyms of plants in such languages as Greek, Syriac, Latin, Berber, Spanish, and Persian. Date, Anand. The Story of Osler's First Four Arabic Manuscript Acquisitions The Osler Library Newsletter. Number 106, 2006. Gacek, Adam. Arabic Calligraphy and the "Herbal" of al-Ghâfiqî: A Survey of Arabic Manuscripts at McGill University. Fontanus no. 2 1989:37-50.